U.S. 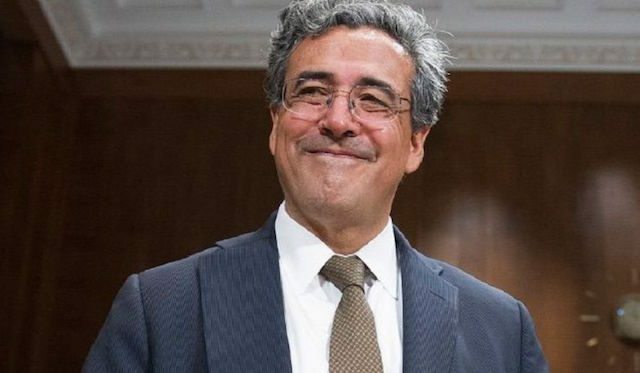 Solicitor General Noel Francisco filed a brief on Monday in the Supreme Court of the United States, in support of the NCAA, NFL and other professional sports leagues, which are backing the constitutionality of the 1992 law PASPA that effectively bans sports betting outside Nevada. Petitioners in the case, the State of New Jersey and the New Jersey Thoroughbred Horsemen’s Association, argue on Tenth Amendment grounds that the law is unconstitutional. One big question in the case (Christie v. NCAA) was whether Francisco, a President Donald Trump appointee confirmed by the Senate in September, would even file a brief. When New Jersey was seeking a writ of certiorari (to have the Supreme Court take the case), then-acting Solicitor General Jeffrey Wall submitted a brief at the request of the high court in which he told the court that it ought to deny the writ. Preempting those laws undoubtedly prevents some States from adopting their favored policies—indeed, that was the point. But Section 3702(1)’s preemption of state laws that conflict with federal policy is not impermissible commandeering because it does not compel the States to enact, maintain, or enforce federally prescribed regulations. Francisco argues that this clause could stand on its own without §3702(1), which prevents the state from licensing (or otherwise authorizing) sports betting operations. Francisco literally spells out how the court could accomplish this, which is quite unique. This is a point that New Jersey did not discuss in its opening brief and will likely have to address. The state has until about November 16 to file a brief replying and rebutting the Leagues’ arguments. 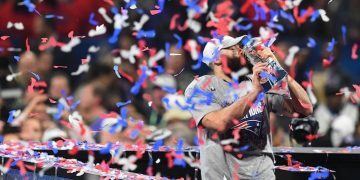 Hopes that President Trump’s previous ownership of Atlantic City casinos and vocal support for sports betting would lead to legalization in the state have so far have been misplaced. The Solicitor General acts as the government’s attorney here, not an agent for Trump’s views. Although there may be more pressing matters, like preventing a government shutdown, New Jersey legislators appear motivated to have Congress repeal PASPA and empower states to legalize sports betting if they so desire. Which New Jersey certainly does.